The Level 2 Security Guarding course is an accredited qualification which has been developed to meet the requirements of the Security Industry Authority (SIA). It is based on the relevant SIA Specifications for Learning and Qualifications and provides the necessary skills and knowledge for those who wish to apply for an SIA licence and work as a Security Guard. Ideal for anyone who wishes to work in the private security industry in the United Kingdom. With the Security Guarding licence individuals can work in all static premises, a few examples are: shopping malls, retail, construction sites, residential sites, schools, hospitals, banks etc. However Security Guard licence holders cannot work in regulated entertainment venues or in premises that sell alcohol. For that you need to attend a Door Supervisor course. The course is assessed by (3)multiple choice exams. 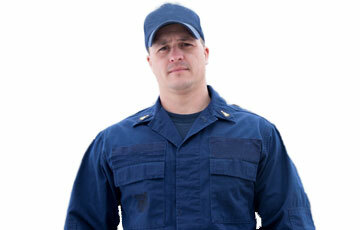 Successful candidates will receive a Level 2 Award in Security Guarding (QCF) certificate.